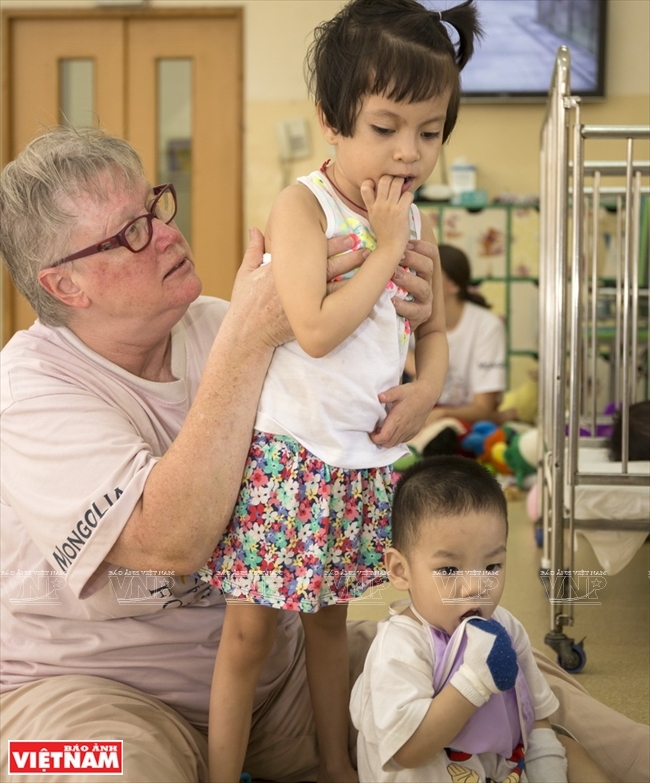 Established in Vietnam in 1991, the Christina Noble Children’s Foundation (CNCF) has implemented over 100 projects in Ho Chi Minh City and neighboring provinces. It provides vital health services, educational opportunities, and community support programs to thousands of vulnerable children and their families annually. Anh Sang (Light) primary school was one of CNCF’s first two projects in Vietnam. 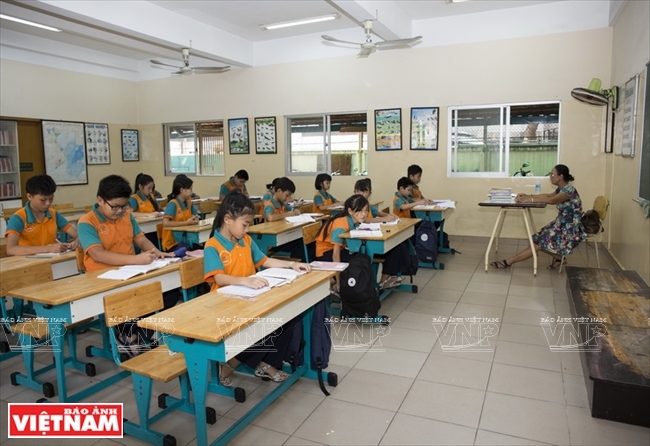 Set up in Ho Chi Minh City in 1991, the school has brought a light of hope and education opportunities for disadvantaged children in Ho Chi Minh City and its neighboring provinces. Anh Sang now has nine teachers and 130-150 students aged between 6-16. 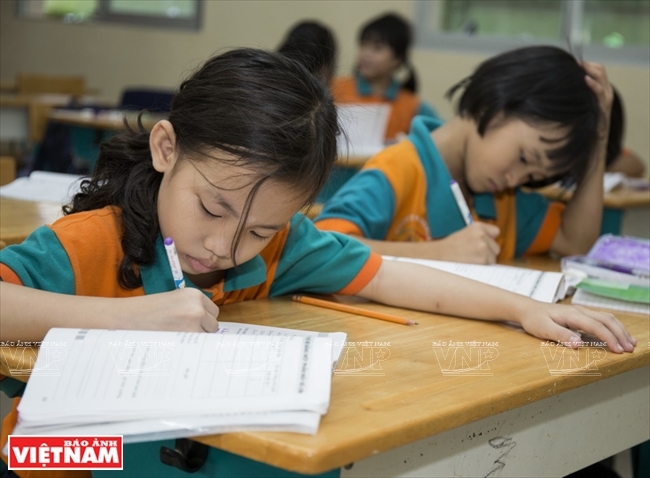 The students are orphans, children in difficult circumstances, disadvantaged children, children at an age ineligible to go to public school, children without a birth certificate or residence registration and children of immigrant families making a living in Ho Chi Minh City. A volunteer with children of the special care group at the center for social protection of disadvantaged children. Light class at Anh Sang school, an education project of CNCF. 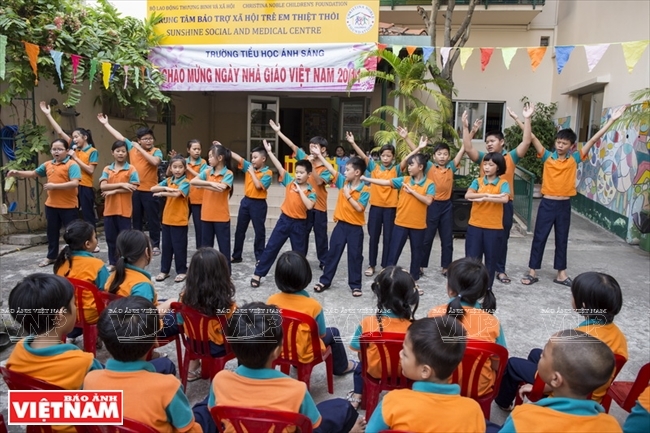 An art rehearsal of Anh Sang school students to celebrate the Teachers Day. 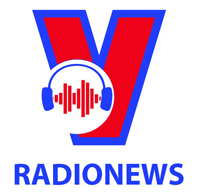 The school provides free uninforms, shoes, schoolbags, books and stationery for disadvantaged children. It presents bicycles to children whose parents cannot take them to school. Apart from teaching, the school counsels and encourages families to send their children to school, and helps children overcome social or psychological problems to continue their education. It also provides medical support for children whose families cannot afford medical check-ups and treatment. According to CNCF founder Christina Noble, children should be raised and educated comprehensively to have their abilities fully tapped. Apart from the curriculum for primary school students provided by the Ministry of Education and Training, Anh Sang school organizes extracurricular activities such as learning Taekwondo, basketball, yoga, swimming, drawing, dancing, singing, piano, and photography to help children develop their talents and build up their confidence. It also has moral education programs for children to develop their personalities, and a library to encourage the reading habits of students. Phong My preschool in Cao Lanh city, Dong Thap was built in 2015 under CNCF's community development program. 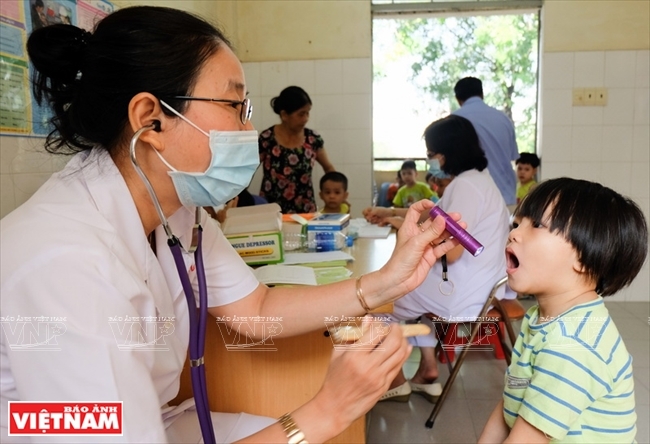 Children at the center for social protection of disadvantaged children are beneficiaries of CNCF's health project. A class at Anh Sang school. 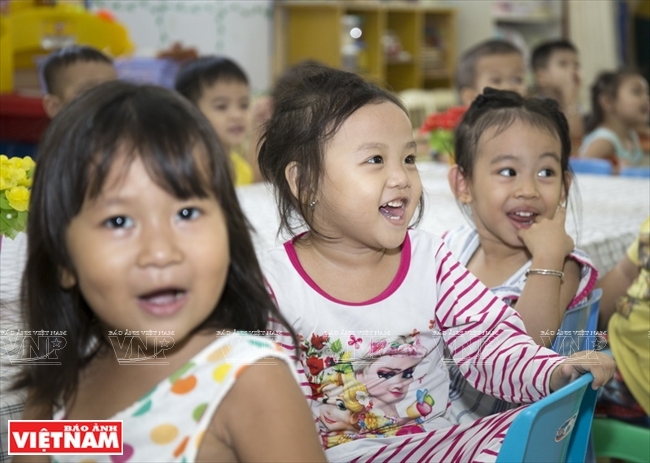 Apart from Anh Sang primary school, CNCF has carried out other education projects, including building classes and kitchens for kindergartens and primary schools in villages and communes in Dong Thap, Ben Tre and Lam Dong provinces. 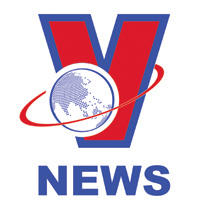 The organization has also implemented community development projects such as supplying safe water for rural areas, and a loan provision for families of disadvantaged children to escape poverty and have a better life.